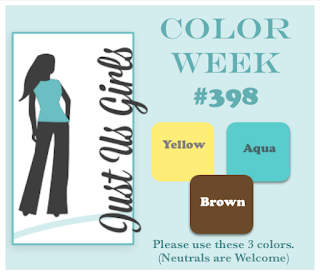 There's a new challenge posted over at CAS-UAL Fridays. It's a Tic Tac Toe challenge with lots of great choices. I chose the first row down: butterflies, monochromatic, and shaker card. I chose the now retiring set Butterbows for the butterflies, various colors of orange for the monochromatic part, and I made it into a shaker. 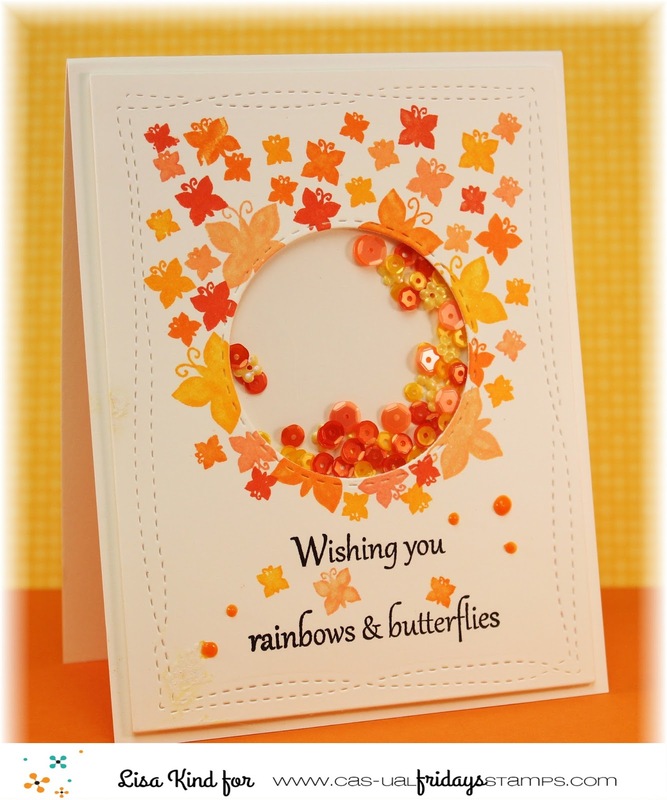 I just love orange and these colors are just so bright and fun! I smudged the Crystal drop on the lower left and it messed up my card right at the end! UGH!! I tried to cover it with a white gel pen. Hope you can join in the Tic Tac Toe fun! Hi everyone! I'm the hostess over at Just Us Girls for this week's Photo challenge. Since yesterday was my last school day and my summer vacation starts today, I thought this photo was perfect! I just love those beautiful Adirondack chairs! So pretty! The colors on my card look so washed out, but they are really brighter in person. 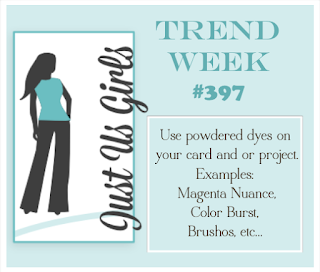 I used yellow, orange, green, and blue Memento Luxe inks with this cool turnaround stamp. The yellow panel and the blue banner were impressed with a linen plate. I added shimmer to the sun. So happy it's summer! 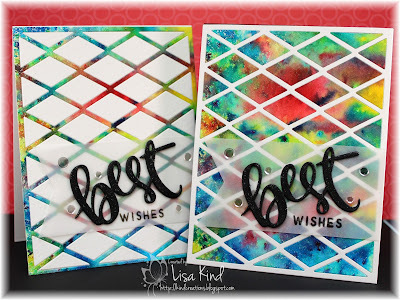 You can see more from the JUGs design team and our June guest on the JUGs blog. I'm really losing track of time this week! It's our last week of school, they have all been half days. I'm late with this post, but it's up now! 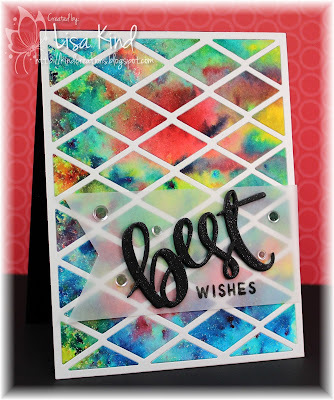 The new challenge at Time Out is the Theme challenge, and the theme is celebrations with a twist to make a one-layer card. We are sponsored by CAS-ual Fridays and I'm using the Special Delivery stamp set and coordinating die. 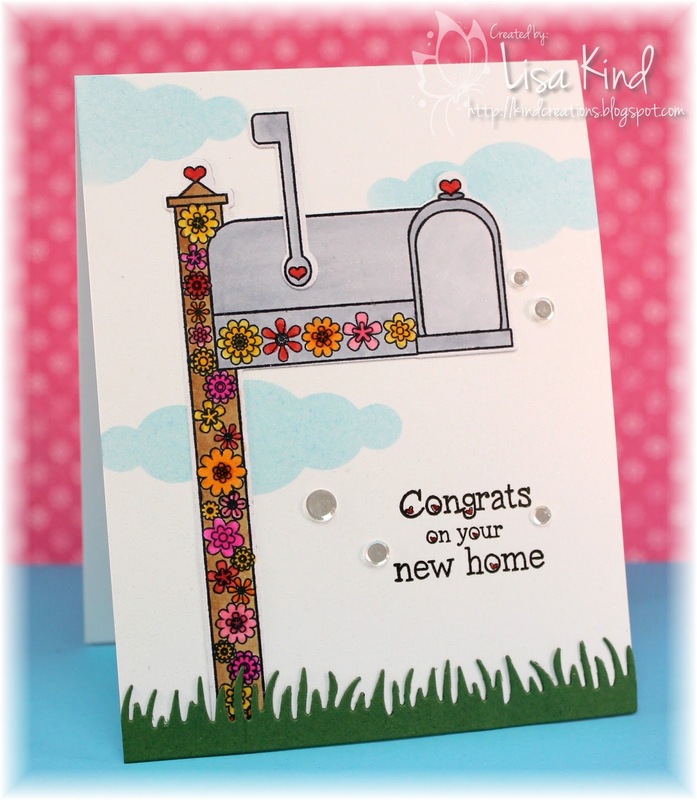 Who wouldn't want a pretty mailbox like this? So cute! I've colored it with copics and die cut it. On the base, I used another die from CAS-ual Fridays called Bubble Label (I think it's retired. I won this die a few years ago somehow!) to create the clouds. I die cut it from some cardstock then used it as a stencil. The grass was die cut also and added to the bottom. My SIL and her fiancée are looking for a new home for when they get married, so I'll save this for that time to celebrate their purchase! You can see more from the design team and our guest TaeEun on the Time Out blog. Hi friends! Bobby has a great color challenge for the Just Us Girls challenge this week. 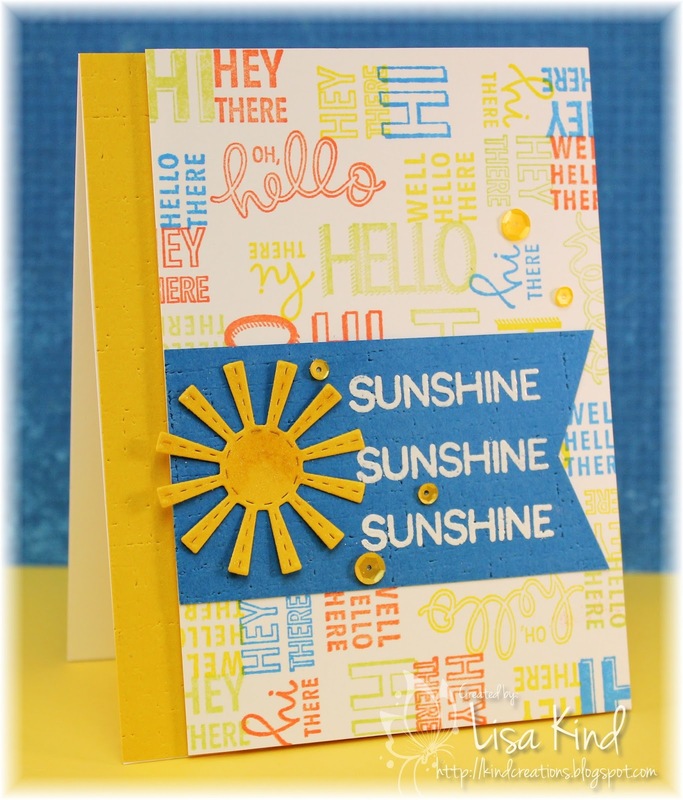 I don't know if kraft is considered brown, but that's what I thought looked good with the yellow and aqua I used on this card. Looking at it now, I should have used brown! Oh well! This stencil was purchased because of a Jennifer McGuire video. She can get me to buy anything! I sponged broken china first, then turned the stencil around and sponged fossilized amber. I love graphic designs! 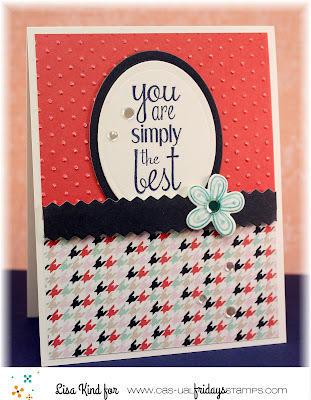 The sentiment was stamped onto this rounded square die cut piece in Versamark and embossed with white powder. 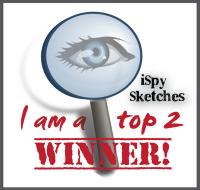 I stamped the sentiment on a piece of white cardstock and made it into a banner. That piece is on dimensional tape. This is the card I'll give to my father-in-law this weekend. I'm entering this in the TGIF Challenges. 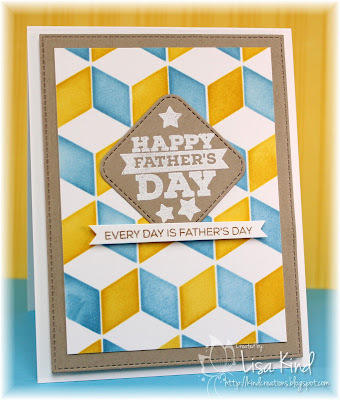 You can see more from the design team and our June guest on the JUGs blog. Hi everyone! A new challenge has popped up on the CAS-ual Fridays blog! 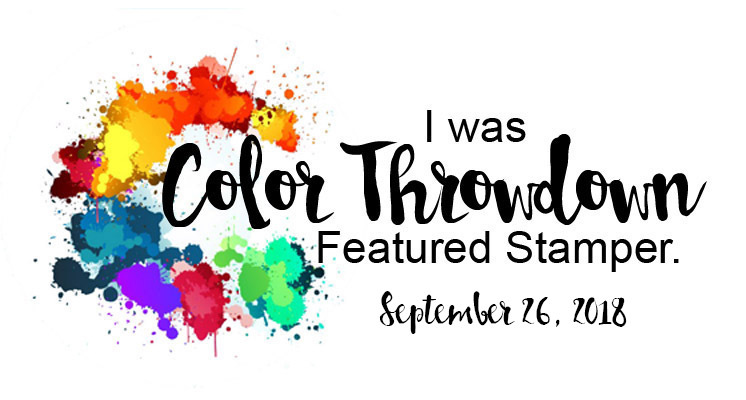 This time it's a color challenge. 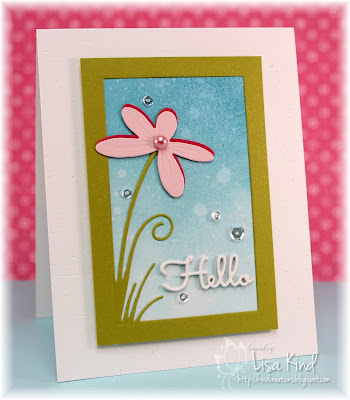 I started by creating the background in aqua and coral with the Wallflower stamp. Then I die cut the scallop tags...one in gray and another in white. 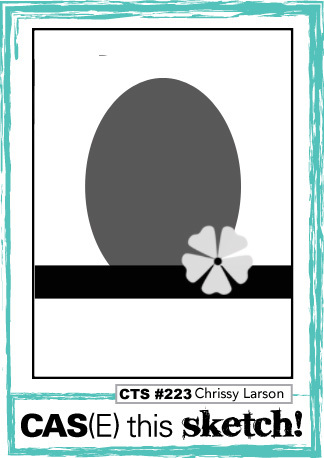 The sentiment, also from the Wallflower stamp set, was stamped in gray. 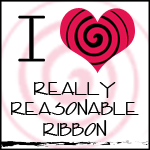 I added some gray ribbon tied with aqua twine. I finished it with aqua and coral sequins. Hi friends! 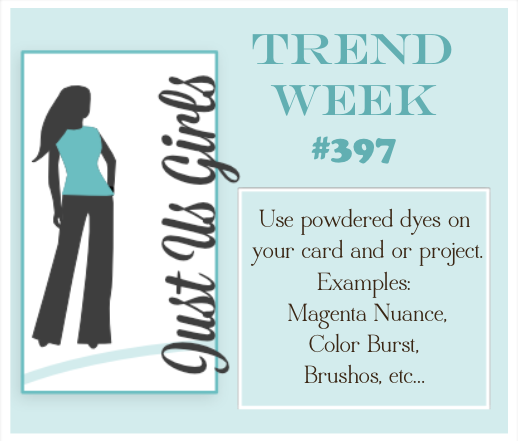 The Trend Challenge over at Just Us Girls this week is to use powdered dyes. I haven't used these Color Burst powder dyes in a while, so I was happy for this challenge. I decided to use three colors (yellow, crimson, and blue) and just go wild on a piece of watercolor paper. I spritzed it with water and dried it with a heat tool. Then I die cut it with this harlequin cover plate. I also cut another piece of watercolor paper with the die and insert the watercolor piece into the frame. I used Stick It so that the frame and pieces would stick to the black base. I die cut the word die from black cardstock four times and stacked it. 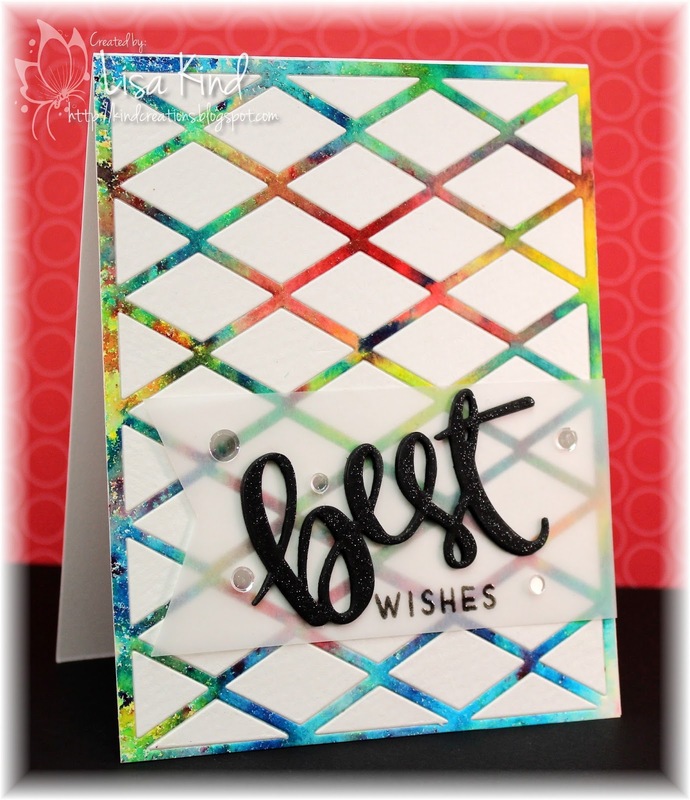 I embossed the word "wishes" on vellum and adhered the die cut to it as well as the sequins. There's shimmer on the die cut as well. Because I die cut the cover plate twice, I was able to make two cards. Here's the reverse of the first one. Same design, different look. And here they are side-by-side. I have a few retirements to go to and I think these will be perfect for them. Hi everyone! 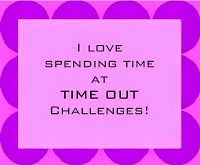 There's a new challenge over at the Time Out blog. 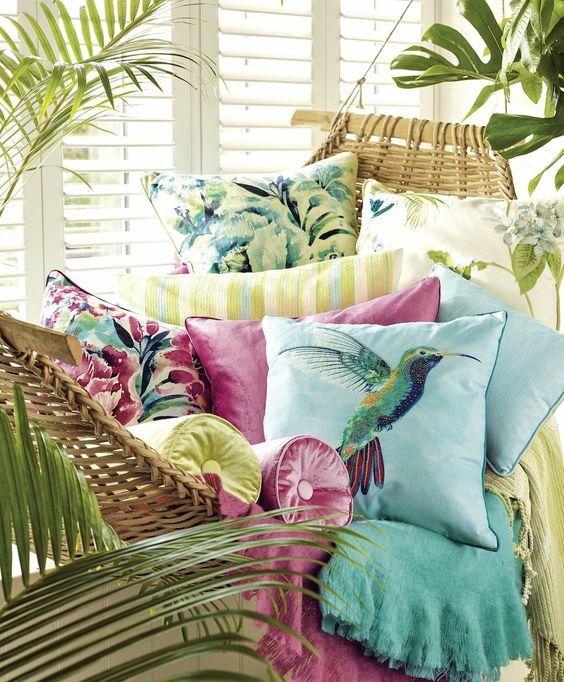 The challenge is our Home Sweet Home challenge where we give you a picture from a room in a home as inspiration. Here's the picture for this challenge. What a place to relax, right? Our challenge is sponsored by Happy Little Stampers. You can see more about the prize and see what the Time Out design team and our guest, Ashwini, have as inspiration for you on the Time Out blog. Hey friends! 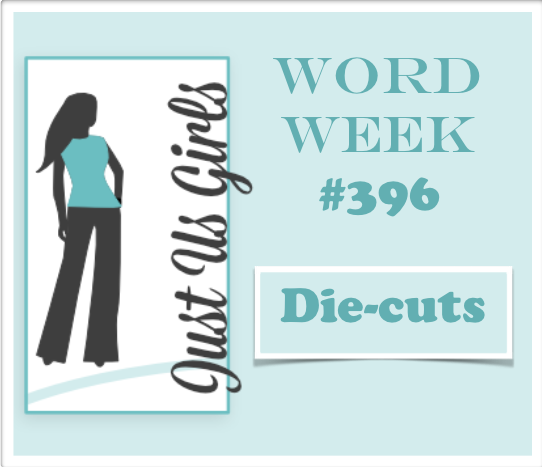 It's Word Week over at Just Us Girls and Ina chose die-cuts as the word. How easy is that challenge these days? I came home today to a box from Simon Says Stamp and this die (times two...I accidentally ordered two! Happens All. The. Time!) and I had to use it. It's been on my wish list for a while because it's been out of stock. So I of course had to use it for this challenge. I die cut it in the kiwi first. 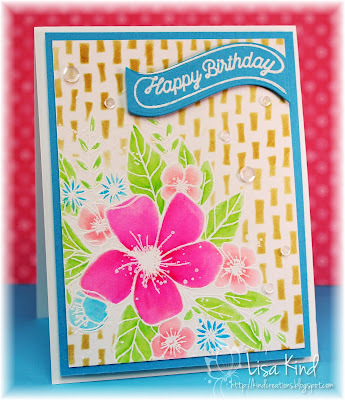 The flower part is another die and it's cut from two shades of pink. I added the pearl in the center. The background behind the frame is blue china oxide ink sponged onto Bristol paper and spritzed with water. Both pieces were spritzed with shimmer. The front of the base was impressed with a linen plate. I added the sentiment (stacked four times for dimension) and sequins for more sparkle. 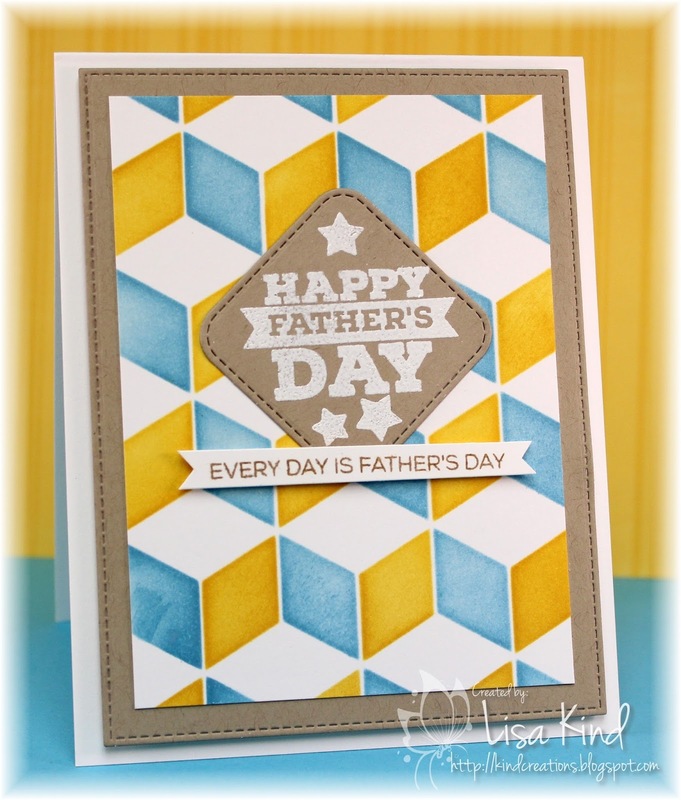 You can see more from the JUGs design team and our June (can you believe it's June already?) 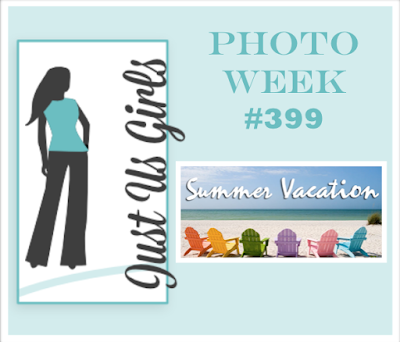 guest, Estelle, on the JUGs blog. Hey friends! It's time for another CAS-ual Fridays challenge. This time, we are breaking out the pattern papers. Dust them off and get them on a card! I have to admit that I have TONS of pattern paper that I just don't use anymore! So this challenge was great for me to get out some paper and use it! I love the colors in this pack. 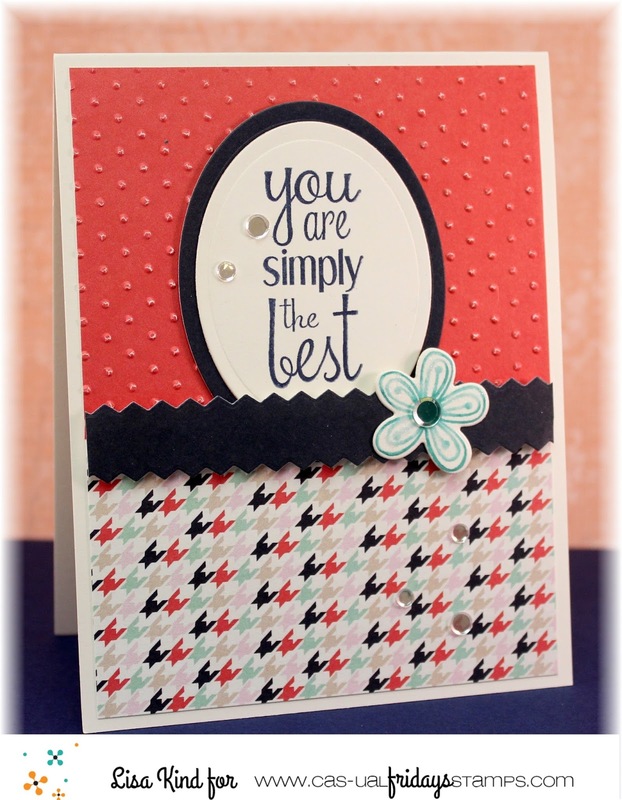 The top is from the pack and it looked to plain, so I ran it through the Swiss Dots embossing folder. The sentiment from Wallflower was stamped with navy ink onto a matted oval die. That horizontal piece was pinked with an edge die. 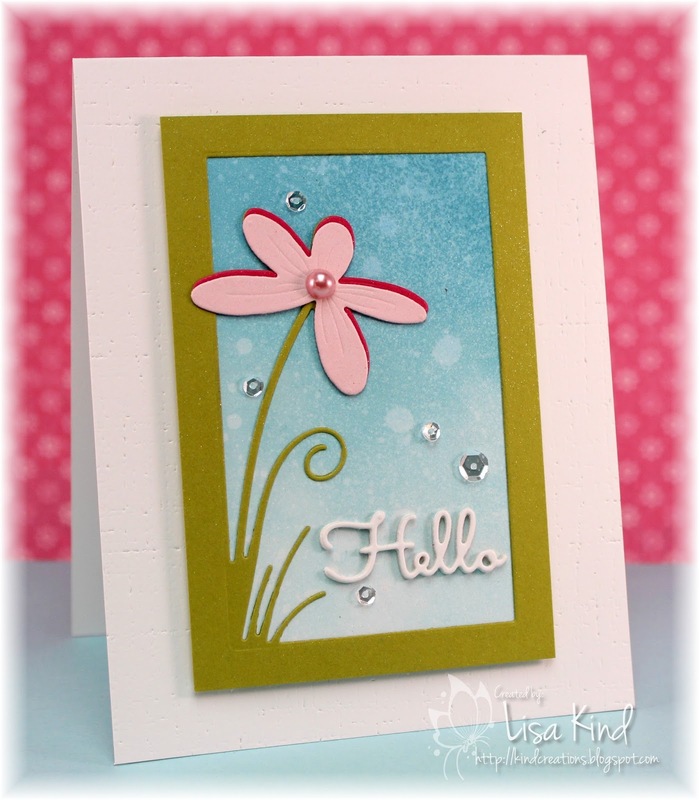 I stamped the flower from Pretty Posies and die cut it with the coordinating die. I added sequins to finish it off. You can see more from the CAS-ual Fridays team on the CAS-ual Fridays challenge blog.